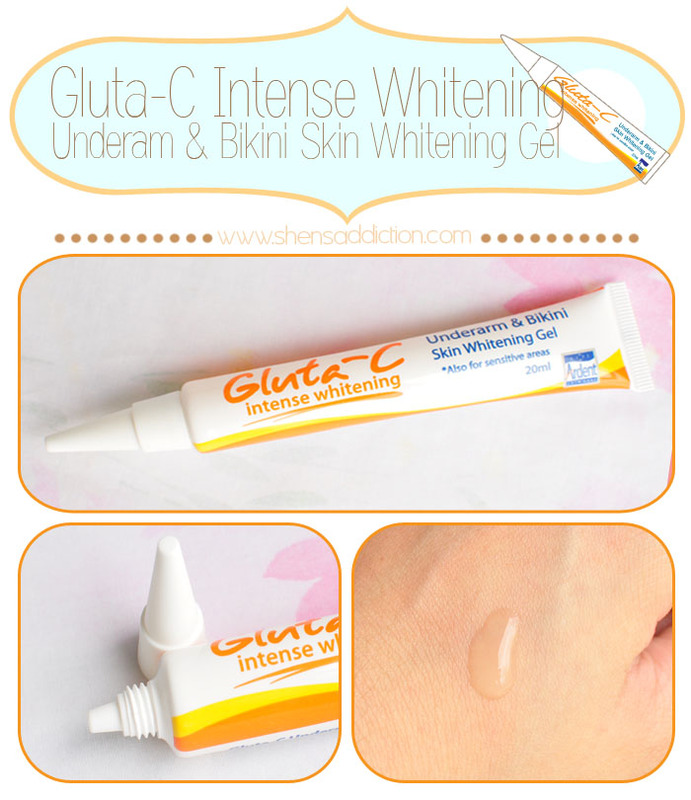 I've been trying Gluta-C Underarm & Bikini Skin Whitening Gel for weeks now. And I must say that it's giving me great results. But first let's talk about why I started using this in the first place. Despite being known to try different whitening products, I'm not the type to up and grab something I haven't researched well. I haven't tried any Gluta-C products so when they invited me over for lunch one afternoon, I obliged. Did you know that you can get dark underarms and bikini area from the following? I've tried numerous whitening products out there but none really that worked. When I learned that Gluta-C Underam and Bikini Skin Whitening Gel contains Tyrosinase along with Gluthathione and Vitamin C, I just had to try it. Tyrosinase in my experience is an incredibly effective whitening agent. Green Tea Extracts provide anti-bacterial and is great for all skin type. Gluta C Whitening Gel also doesn't contain any perfume, paraben or alcohol. My underarm and bikini area is significantly lighter than it was when I first started using this. It's not totally lightened that I can raise my arms up in the air but at least I'm not that scared to wear sleeveless clothes. The skin became softer and smoother which was a pleasant surprise given that most effective whitening products I've tried can be drying and rough on the skin. As expected, it's going to take awhile before I see a completely different skin and that's all right given that this one seems promising. Watsons Personal Care, Mercury Drugstore, Alturas Island City Mall, Alturas Supermarket, Cherry Foodarama (September), Citimart, City Supermarket Inc. (CSI), Gaisano Capital, Gaisano Cagayan Dept. Store, Gaisano Grand, Gaisano Mall Dept. Store & Supermarket, Davao, Gensan, CDO, KCC Mall GenSan, Landmark Dept. Store & Supermarket, LCC Dept. Store & Supermarket, Lee Plaza City Central Dipolog Supermarket, Lee Super Plaza Dept. Store, Mart One Dept. Store, Metro Gaisano Department Store, Robinsons Department Store, Robinsons Supermarket (September), Shopwise (September), St. Joseph Drugstore, Tiongsan Supermarket – Baguio, Tropical Hut Supermarket – FTI, Unitop.